Get 5 breathtaking days with world class ultrarunners Jeff Browning & Krissy Moehl in high altitude SW Colorado. Register now to receive a limited spot, featuring access to Colorado Running Ranch and must-have pro knowledge on endurance training, nutrition science, recovery and more. Experience an amazing, high altitude week of trail running in the stunning San juan mountains of SW COLORADO, home of the famed Hardrock 100 course. Spend five breathtaking days running with and gleaning knowledge from veteran ultrarunners and endurance coaches, Jeff ‘Bronco Billy’ Browning and Krissy Moehl! Bronco will share his personal experience about winning the 2018 Hardrock 100, setting the Western States/Hardrock Double in 2016 as well as making the shift to OFM (Optimized Fat Metabolism), the benefits and emerging science of fat adaptation, as well as its application to endurance training and lifestyle strategies. Krissy will share her experiences and techniques used to win the Hardrock Hundred Mile Race & UTMB, plus insights into nutrition, cross training, and methods for keeping running fun. Jeff 'Bronco Billy' Browning was ranked one of 2016’s top two ultra runners of the year, earning the title with a Western States 100 & Hardrock 100 fastest combined time. Jeff has finished over 100 ultra marathons in his career, including winning the 2018 Hardrock 100, and has set multiple course records throughout the years. Jeff grew up roaming free on his family’s 700-acre farm in Missouri, and he’s been running ever since. He resides in Logan, Utah with his wife, three kids, four chickens, a dog, two cats, and their organic garden. Nutrition and hands-on tweaking of running gear are two of his areas of expertise. He lives to explore wild places and fights to protect them, most recently by participating in a 106 mile run through Chile’s Patagonia National Park to celebrate its opening and spread the word about its conservation. Shifting from mountain biking and climbing, Jeff started running ultras in 2001 and shifted to racing competitively in 2004. He's since racked up 25 ultra wins — including 16 at the 100-mile distance. He's spent 19 years refining his training and racing strategies in ultras. Jeff is passionate about sharing them with others as an endurance running coach. Krissy Moehl is an ultramarathon runner, coach, author, public speaker and race director. In her 17-year career, she has run more than 100 races. She has 56 female wins and 2 outright wins. 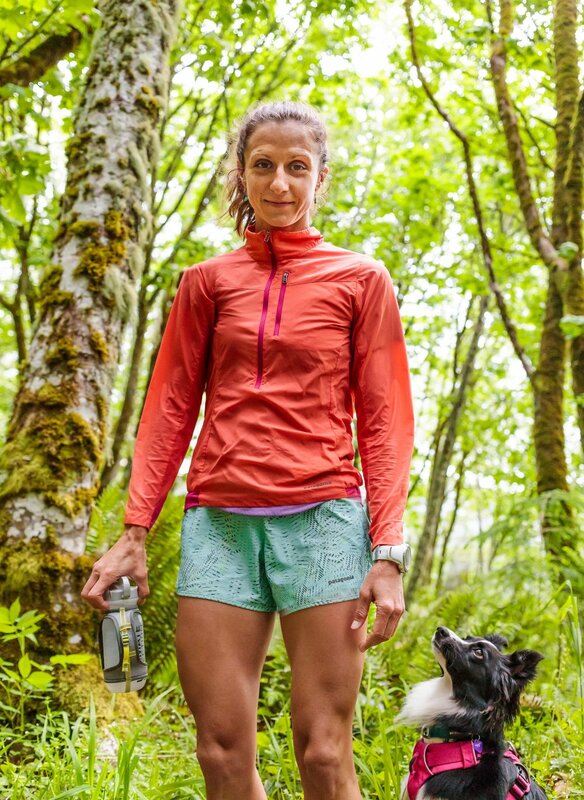 Moehl's impressive track record boasts first female finishes at the world's toughest ultras including Ultra Trail du Mont Blanc 165km, Ultra Trail du Mont Fuji 100 mile, HURT 100, Hardrock 100 and several others. Krissy is sponsored by: Patagonia, Ultimate Direction, Julbo Eyewear, 1st Endurance, Flora, Vasque & Bronwen Jewelry. Colorado Running Ranch has partnered with select pro ultra runners to bring you an unparalleled trail running experience. Experienced Colorado Running Ranch mountain guides crew every run, ensuring no matter your running level you'll have someone to hang with. 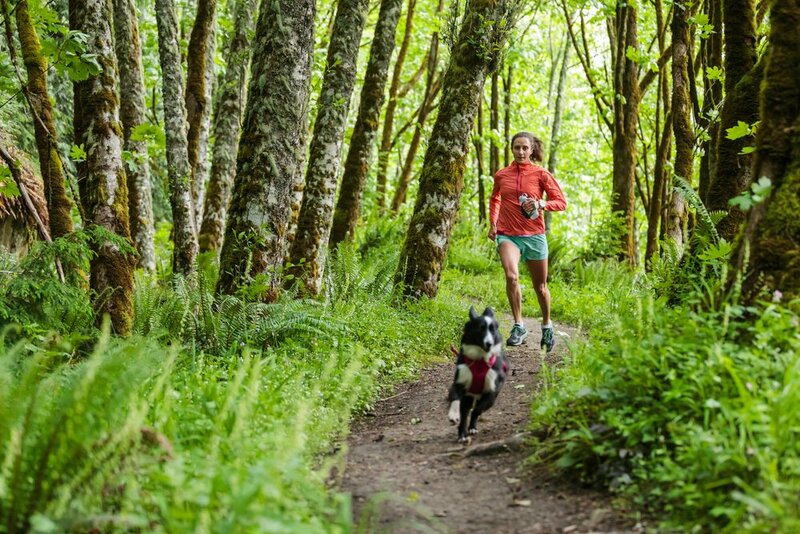 Trail running is our passion. We've got you. 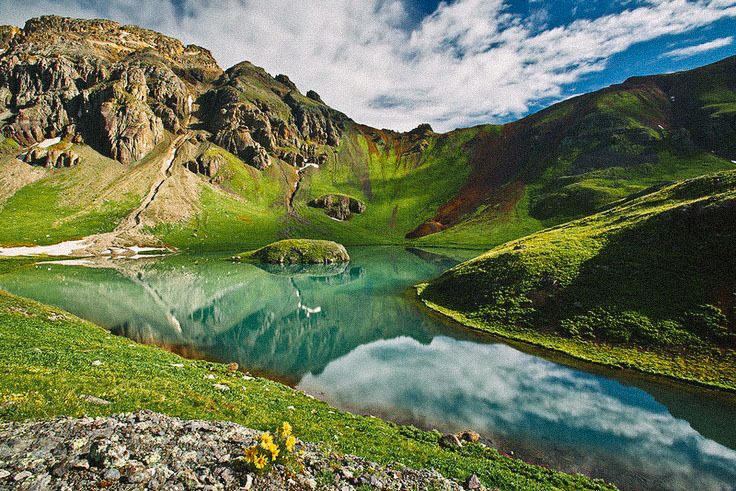 The San Juans are home to some of the most spectacular trails Colorado has to offer. From stunning mountain views to lakes to lush forested trails, we'll traverse the unique mountains above Durango and Silverton, CO.
- Delicious organic, locally sourced meals. Open kitchen + unlimited gels, bars, snacks, hydration. CRR will offer LCHF (Low Carb, High Fat) menu options. For more on CRR Cuisine click here. - Game room with pool table, movies, board & video games. High-speed wi-fi also available. - Fun water activities (paddle boarding, inner tubing) offered at nearby Lemon Lake and Animas River + Yoga for Runners with certified Yoga instructors on-site. COLORADO RUNNING RANCH, PATAGONIA, ALTRA, JULBO, NUUN, RUDY PROJECT EYEWEAR, TAILWIND, DURANGO RUNNING COMPANY, ULTIMATE DIRECTION, PROBAR, DRYMAX, REDBULL, GU, SQUIRREL NUT BUTTER, SMARTWOOL & MORE. We take special pride in our swag bag swagger. You will receive top knotch gear from running's best brands. WHAT FITNESS LEVEL SHOULD I BE AT PRIOR TO CAMP? All runners are welcome. We have staff that can offer on-trail guidance and navigation to all abilities. As a general recommendation to ensure you get the most out of camp and can experience the trails and views we'd love you to see, your weekly mileage prior to camp should be at minimum 40 miles/week. HOW FAR AND HOW HARD WILL BE RUNNING? This will depend on your current fitness level as well as acclimatization to high altitude. We will be covering between 40 to 60 miles of backcountry trail running in our 4 days together. Advanced runners may request higher mileage and can be assigned a mountain guide of similar fitness to run with if you'd like to get more mileage in. Pace will be self-selected. Bronco Billy & Krissy Moehl will cycle between different paced groups so you will always have friends to run with on the trails of a similar fitness level. WHAT GEAR SHOULD I BRING? WHAT GEAR WILL BE PROVIDED FOR ME? High-quality trail running shoes are a must. Be sure to also bring your preferred hydration system (water packs, water bottles etc). Mountain weather can be highly variable especially at high elevations so be sure to bring a light rain jacket and warm clothes for the evening hang-outs. We will provide all activity specific gear (yoga mats etc). We will also provide all on-trail first aid, nutrition snacks, gels, energy chews and hydration choices of various kinds. Email us if you have any specific requests! HOW IS TRANSPORTATION HANDLED? DO I NEED TO RENT A CAR? All you have to do is get yourself to Durango, CO. We'll take care of the rest. We have CRR 4x4 SUVs to transport us to all camp trail heads and activities. We will also pick you up at Durango's airport (DRO) when you arrive and get you back to the airport for your departure. 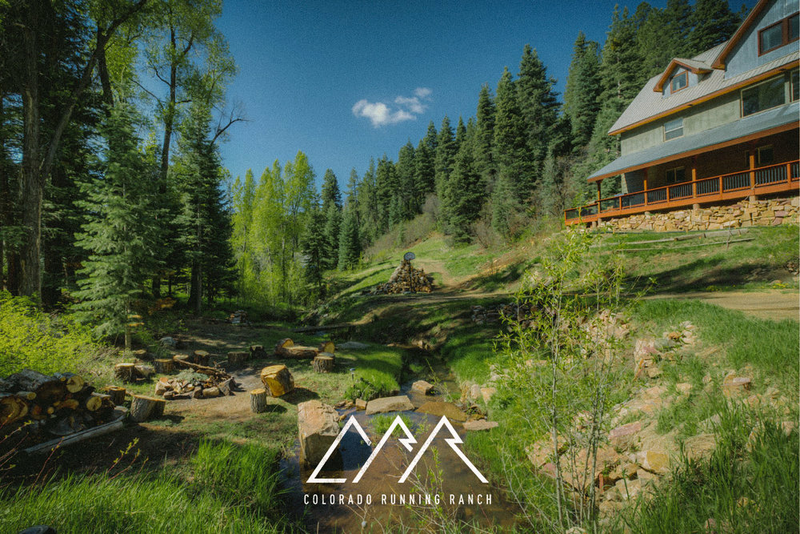 If you'd like to drive to Colorado Running Ranch, we do provide ample parking for all vehicles. WHAT IS THE EASIEST WAY TO GET TO COLORADO RUNNING RANCH? CRR is located in beautiful Durango, CO. If driving, for directions, use Google Maps and search 'Colorado Running Ranch'. If flying, the easiest way is to fly directly into Durango airport (DRO). For cheaper flights, fly into either Phoenix (PHX), Denver (DEN) or Albuquerque (ABQ) International airports rent a car and drive. For those who fly into Durango (DRO), Colorado Running Ranch has a shuttle service to pick you up at the airport. I have specific food allergies or dietary preferences. Will my dietary needs be able to be met while at camp? We will meet any and all dietary restrictions and preferences. After registering for the camp, you will receive a camper welcome packet + a survey that will have a section on it where you may let us know your exact dietary requirements. Due to Jeff Browning's focus on OFM (Optimized Fat Metabolism), the menu will feature LCHF (Low Carb, High Fat), Primal/Paleo menu options and Jeff will share the emerging science on fat adaptation with regard to diet and lifestyle. Arrive CRR! Welcome to the beautiful San Juan Mountains. Breakfast. Quick Clinic: Running Form Clinic. Yoga for Runners session also available. Day 2 - Trail Adventure. Summit a Colorado 14'er. Downhill and Uphill Running Technique Clinic. Late Lunch at the trailhead post-run. Dinner + Evening Featured Clinic: Advanced Raceday Nutrition, Mental Game and Gear Strategies. Trail Running Film Festival - we will be screening the worlds top trail running films and docs + enjoying local craft beers. Hot tubs + Pool table + bonfire will be going as well. MORNING Day 4 - Breakfast. Early Start - All Day Trail Adventure Run @ secret location! Boxed Lunch on the trail midday. Day 5 - Breakfast. Morning, easy group run. Day 4 - All Day Trail Adventure Run continued. Rest and Relaxation + Dinner at CRR in the evening. Day 5 - Pack up & Depart CRR.